Last Thursday, I had the privilege of access to a fantastic if sensitive marshy grassland site near Llannon, but in SN5409. Amongst the multitude of Devil's Bit Scabious, Water Avens, Bog Bean etc, were a sprinkling of inverts, despite poor weather on the day. 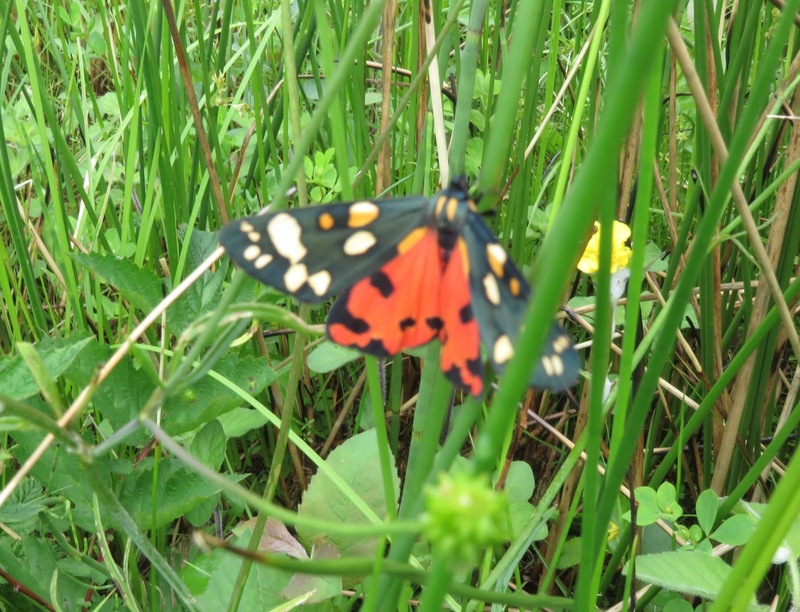 Perhaps most attractive was this Scarlet Tiger. Hopefully, this site might get protection in near future. Cinnabar was also recorded.